The London 2012 Olympics are just about upon us now & we're certain to see record levels of betting on the events, especially in the UK, but punters must be wary about letting patriotism & hype get the better of them. Over the past few weeks we've been taking a look at times & performances from competitors in various events & are bringing to you below some specific bets in the cycling to start with plus some general pointers towards having a successful time punting over the two weeks of competition. The Cycling events are ones where Team GB will be looking to score big with several golds & multiple medals throughout as they look to follow up a wildly successful Beijing & a super World Championships in 2012 where Australia gained the same amount of golds but topped the table thanks to silvers won. We're going against our general rule of avoiding returning gold medalists here but the odds of 4/5 for the great Olympian Chris Hoy to win the Keirin probably underestimate just how good he is at the event. 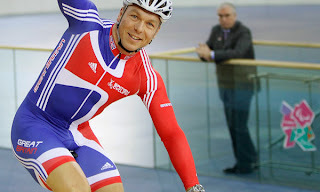 With Jason Kenny taking the only place for GB in the Sprint that means Hoy only has this to think about & train for this in the individual events & the flag carrier can add to his impressive haul of 4 Keirin World Championships & one Olympic gold in the event. 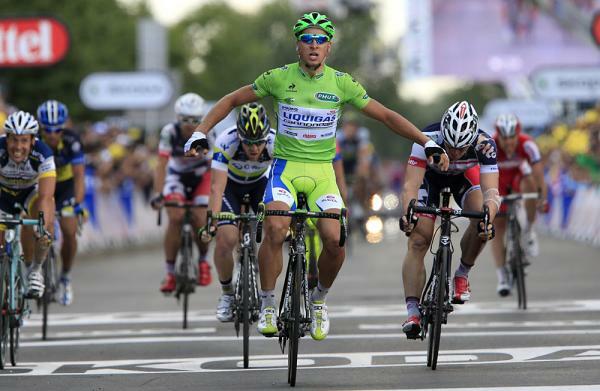 Elsewhere in the cycling we reckon that Bet365 are taking a big old risk by pricing Tour de France green jersey winner Peter Sagan up at 8/1 for the Road Race & offering 1/4 odds for the first three places. 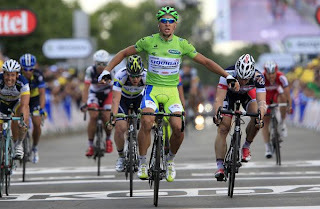 The 'Terminator' is probably the most exciting young prospect around at the age of 22 & although Mark Cavendish deserves maximum respect & is a worthy favourite we think it looks fanciful for the Slovakian Sagan to finish outside of the medal places & he won't be far off Cavendish even if the Brit can win. Back Sagan each way at 8/1 & guarantee yourself a return with a good potential for the outright win. Beware events decided by judges scoring rather than measurable & quantifiable methods. There are many events at the Olympics that aren't decided by who's quickest, can throw the furthest, jump the highest, lift the heaviest etc. & events outside of these have the extra tricky element of trying to predict what the judges are looking for on top of how the competitor will perform on the day. There have been many instances of questionable & at times basically corrupt judging through Olympic history & whilst we shouldn't be facing the same difficulties as seen during the Cold War period, we just don't like the idea of leaving our gambling fate to the judges if we can possibly help it. Events to be wary of include Gymnastics, Diving, Equestrian, Boxing & any other combat events (Judo, Taekwondo, Wrestling). Avoid competitors attempting to repeat previous gold medal success. There are reasons there are so few Olympians who have multiple gold medals in the same event from multiple games - the Olympics is the absolute pinnacle of achievement for most of the events & once someone reaches that pinnacle it is difficult to repeat that achievement 4 years, or more, later. Bodies change over time & that's why you see many racing competitors change the distances they race at slightly in order to try to keep being successful. Not too many Olympians win their first gold when they are raw youngsters either meaning by the time they return they have gone over the hump of their physical peak. High profile previous champions returning here, trying to capture gold again, include Usain Bolt (100m & 200m), Liu Xiang (110m hurdles 2004), Dayron Robles (110m hurdles 2008), Christine Ohuruogu (400m), LaShawn Merritt (400m), Victoria Pendleton (cycling - sprint), Andreas Throkildsen (Javelin).